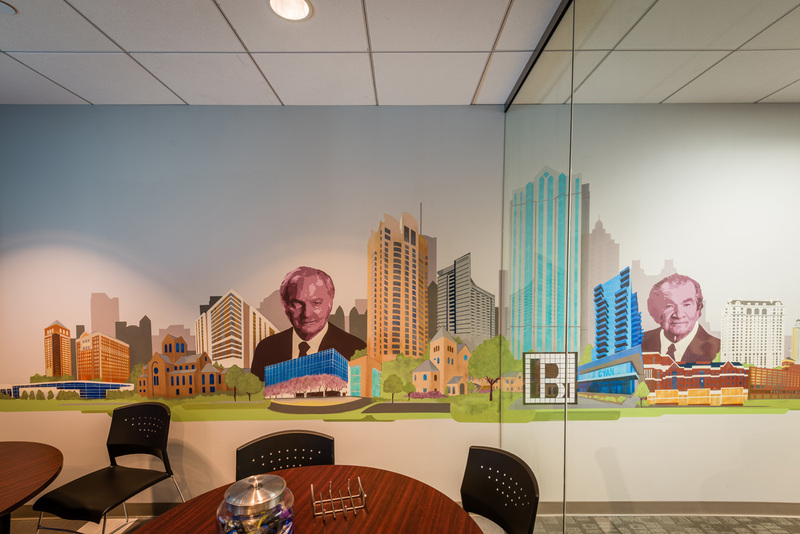 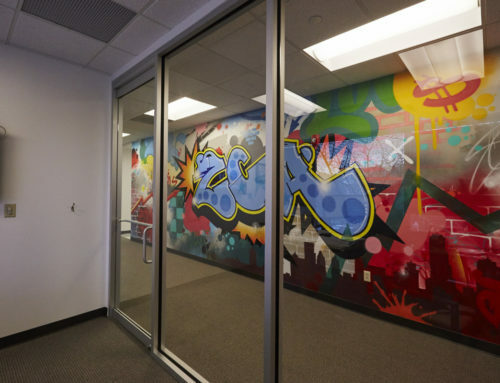 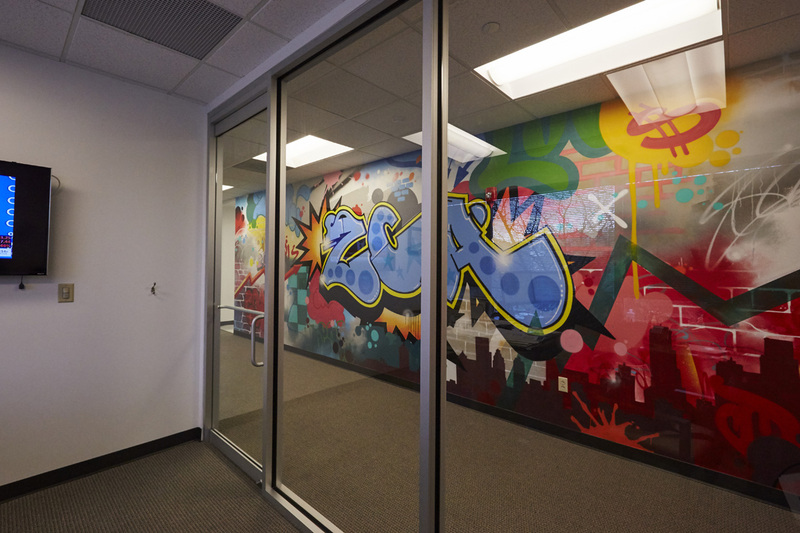 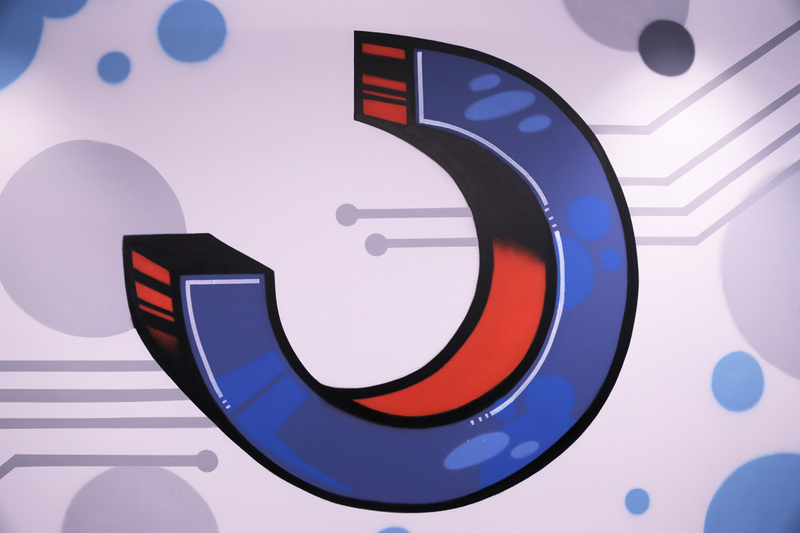 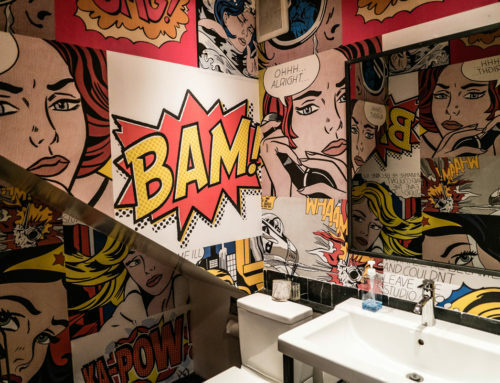 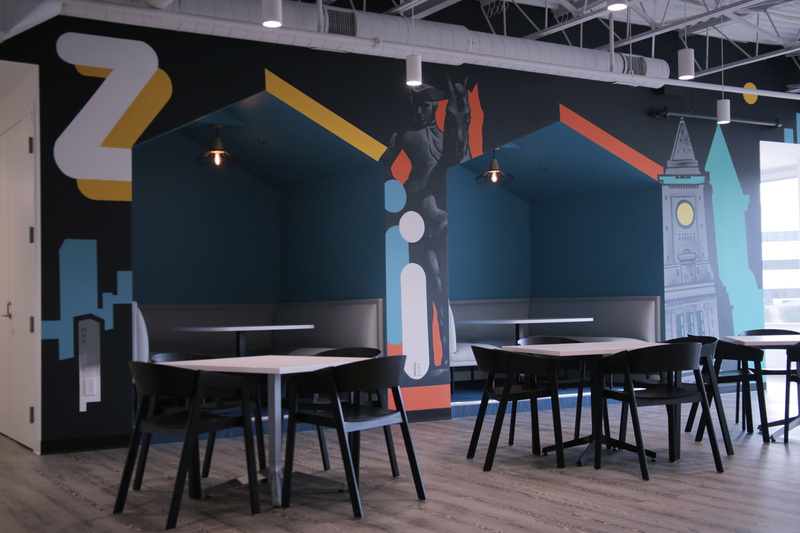 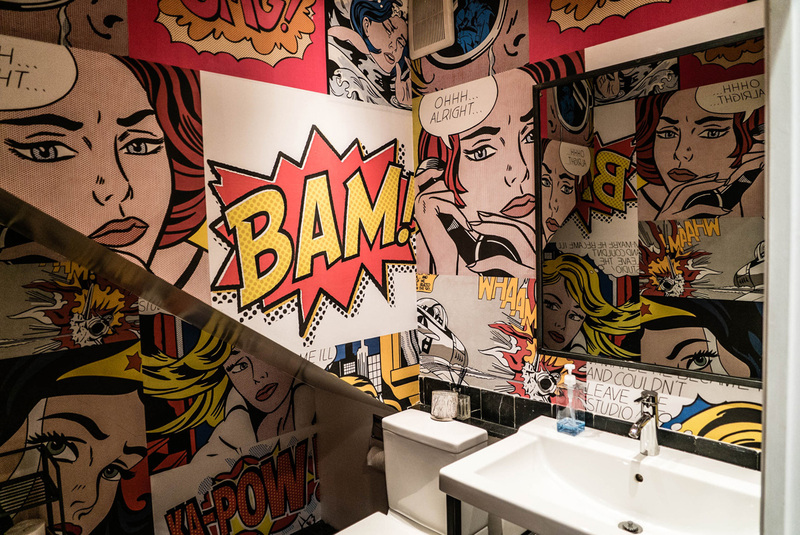 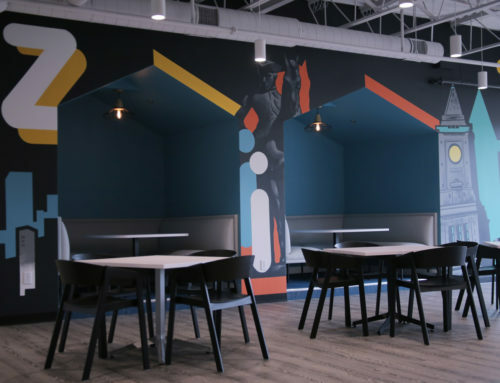 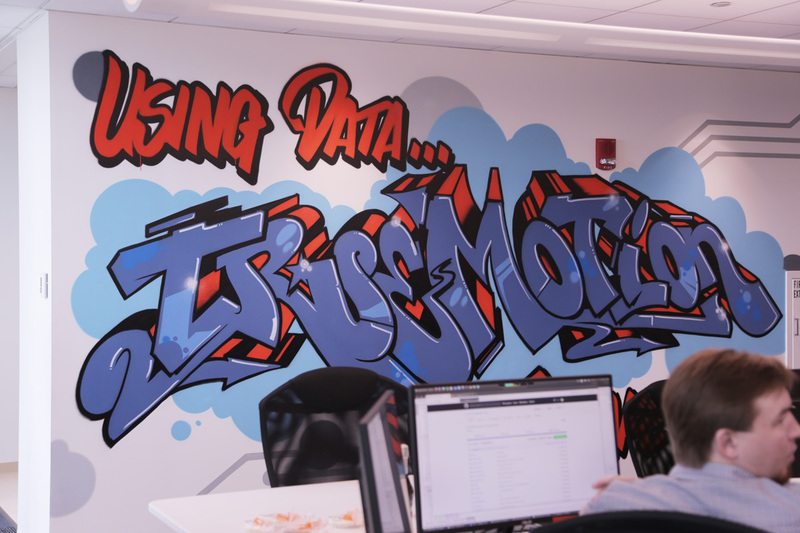 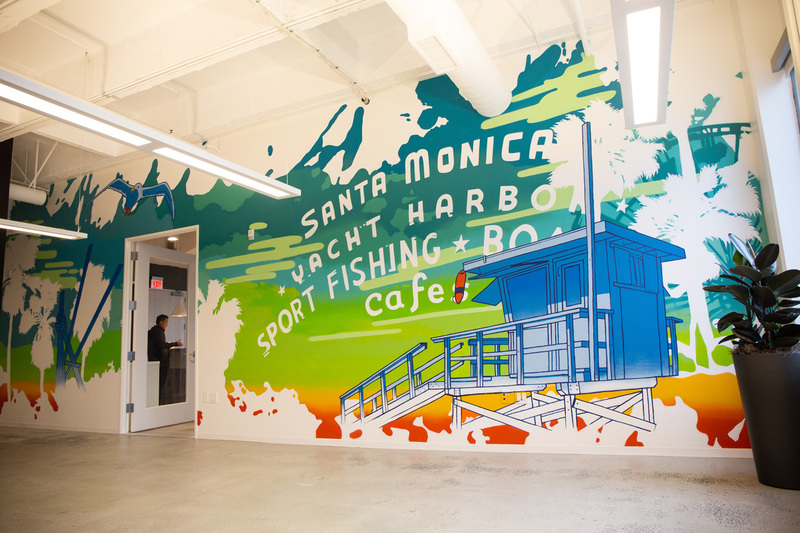 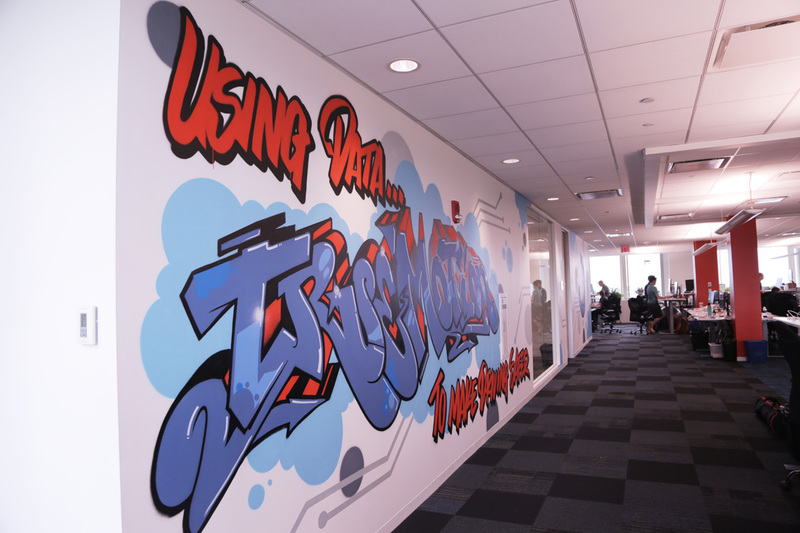 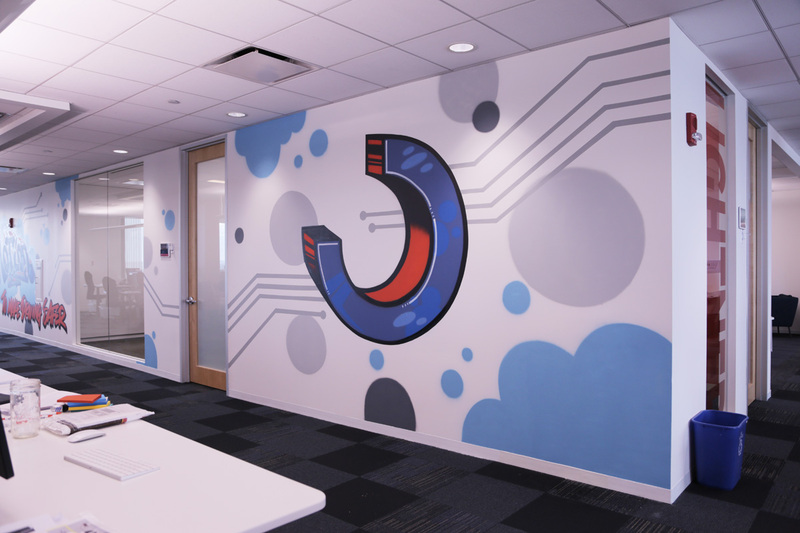 A tech company that uses smartphone sensors to analyze driving patterns and provide insight, True Motion’s goal was to add an edgy visual to their office that captures what they do, with graffiti. 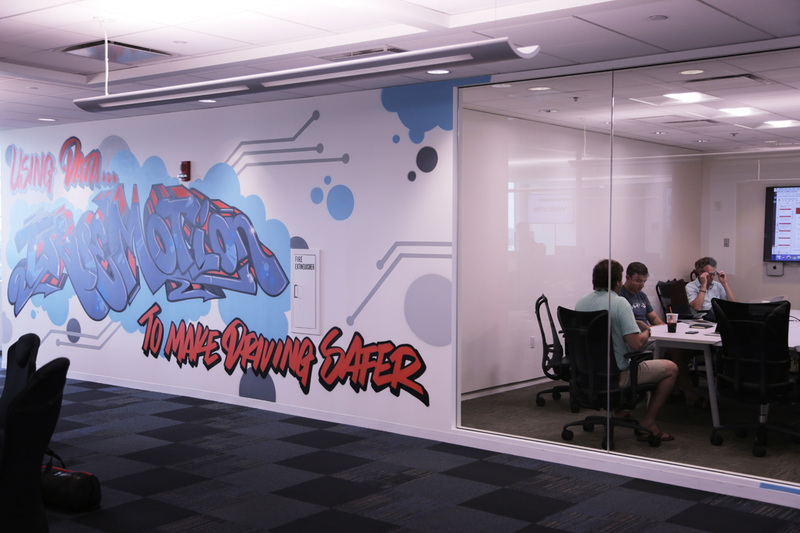 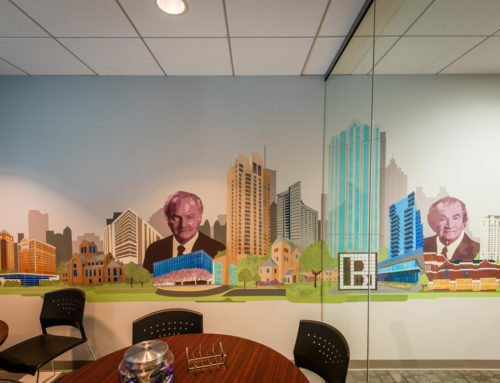 The theme of “driving intelligence” with their company name, not in their standard logo form but in 2D bubble letters and real graffiti flairs, shines, and textures, was the solution they were looking for. 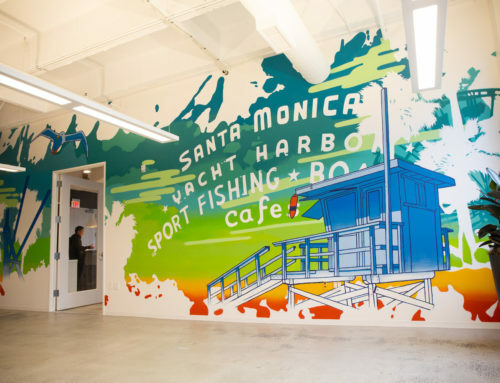 Using a handwritten type for their slogan, and adding transport lines that ‘connect the dots’, the artwork we painted emphasized movement and disruption in their brand colors.